Current Itinerary: Leaving here tomorrow and headed into Guatemala...first stop will be Flores which we’ll use as a gateway to visit Tikal and the surrounding area. We’ll probably do a few other ruins in the northern part of Guatemala and then slowly move south towards Guatemala City. We’re looking forward to being in far cheaper countries for the next couple months. Note #1: Yeah...back in action! Sorry again for such a long delay...we have not had an internet connection good enough for me to be able to upload the photos and update the website so I haven’t been able to send anything...hopefully in Guatemala it will be a little easier (I doubt it). Since it’s been awhile I don’t feel too bad about sending this one out...easily the longest journal to date. If I can get the pictures uploaded, another one will come later tonight or early tomorrow before we leave. Note #2: I’ve added a new feature to the webpage. Here is a google map that has all the places we’ve been (takes a minute to load)...it’s nice because it’s interactive you can really see the path we’ve taken. Although pictures and journals will lag behind, the map will always be pretty much up to date so anybody can see where we are. We got up and had the all-star Poc-Na breakfast one last time before packing up to move on to Tulum. We needed to make a small pit stop in Cancun on our way to Tulum so that Jodi could get her new ATM card that was being shipped to a Citibank somewhere in Cancun (I'm leaving out a lot of details from this story but it was nothing serious). I forgot one little rule though...when you're dealing with anything related to ANY "official" business in Latin America, there is no such thing as a "small pit stop". As I've said many times, you can do anything in latin america that you can do in the USA...it just takes longer (especially buying a boat ticket). We caught the ferry back to Cancun and grabbed a kombi (no problems with waiting this time!) back to the main bus station. The next few hours went pretty much how I expected...but I thought I'd let Jodi figure this one out on her own. Experience is the best teacher I always say. We figured the online information could be wrong and we didn’t want to leave the card floating out there somewhere, so Jodi went out in search of this specific Citibank branch with an address in hand that did not make any sense to us. I know that is hard to comprehend if you've never really traveled (because what we have in the USA is simple and very systematic...and also, we're used to it) I think postal workers are the only ones who know addresses in a lot of places I've been...street names are rarely posted (although this was quite common in Boston) and numbers often follow no logical progression. You combine this with a culture where cab drivers live to rip of foreigners and people who don't just say "no" when they have no clue where a place is and you can be in serious trouble when all you have is an address. As my buddy Tony put it "I could write a novel on funny stories about getting directions in latin america!!" Anyway, I waited for Jodi at an internet place while she set out on the mission to find this bank. She returned about an hour and a half later (after not having found it of course) and was slightly frustrated. While she was gone, I had found out that my buddy Karl was going to be in Cozumel just two days later so I suggested that we just stay in Cancun for one night while we sorted out the ATM card problem and then we would be able to get to Cozumel just in time instead of going to Tulum and having to backtrack or missing them completely. Just like that a new plan was hatched. We decided to go back to the Chac-mool hostel and then we really had gone full circle. We had been in Mexico for 2 weeks and found ourselves 20 feet from where we began this whole thing! We checked in and it was still about 3:30 so we went out to try to sort out the bank thing together. After walking around searching for the address, we realized that the Citibank we were searching for had been turned into a hardware store. We had no choice but to wait until the next day and try to sort it out at a nearby Banamex (a Citibank partner). Our hopes were that the card had just gone there instead. A couple hours later we were able to see online that the package had actually been delivered, but we didn’t really have an address to where it was delivered...just a name and what looked like the information for a central branch. It was confusing but we could do nothing but try to sort it out the next day. We went to dinner at a great restaurant near the hostel and had some outstanding paella...maybe the best meal we’ve had to this point. We had a great talk and sat there and had a couple beers and finally decided to go to a nearby bar called Bungalow. It turned out it was the first night the place was open. We had a couple (very watered down!) drinks and then headed back to the hostel around 1:00. Anyway, we got up at 9:00 and headed over to the nearby bank branch in search of our holy grail. Well, as luck would have it, when talking to one of the bank employees, she recognized the name of the person who got the package...we were directed through a security door to another section of the building and in about 10 minutes time we had found our package! What a great start to the day! I thought it would take us hours to find that thing. Right on. Back at the hostel we had plenty of time to shower and pack up our things. I fired off an e-mail to Karl to let him know we would be waiting for them in Cozumel when they arrived! A quick background on Karl: He’s from New Zealand but I actually met him through Mark/Australia when I was living in Sao Paulo. (Some of you might remember the pictures from his awesome birthday party in Juquehy back in ’03). Anyway, he now lives in the USA but just by coincidence, happened to be on a wedding cruise with his girlfriend, Theresa and the boat was going to dock for one day in Cozumel! It has been almost 4 years to the day since I’ve seen him and now we were going to be able to have a day together in Mexico of all places. I think it’s safe to say I never could have predicted that one! So we checked out of Chac-Mool and this time we were almost certain that we would not be returning (well, not on this trip anyway). We grabbed a couple tacos and then got a bus down to Playa del Carmen, where you can catch a ferry to Cozumel. We sat at a little bit of a crossroad because the ferry across was a bit expensive and we were worried we would not find cheap accommodation as Cozumel is known for its extravagance. It was a short debate...first of all I really wanted to hang out with Karl for a day and second of all, I wanted to see the island and at least try some snorkeling as it is supposed to be an excellent place for it. We figured if it got too pricey that we could just stay for 2 days and then come back. We were also concerned about the weather. Since the windstorm in Isla Mujeres 2 days prior, it had been overcast and windy...that was exactly the case in Playa del Carmen, but strangely, when we got to Cozumel (after a very bumpy 30 minute ferry ride), it was sunny and calm! Go figure. This day was really going our way! Also, we ended up finding a place to stay that was cheaper than the Chac-Mool hostel where we stayed the day before (for the record we stayed at hotel Edem on calle 2 norte...a block and half up from the main road). We spent the afternoon exploring the downtown area of the island. There are quite a few people around and many VERY high end expensive shops in the main area...especially there is inordinate amount of jewelry stores. 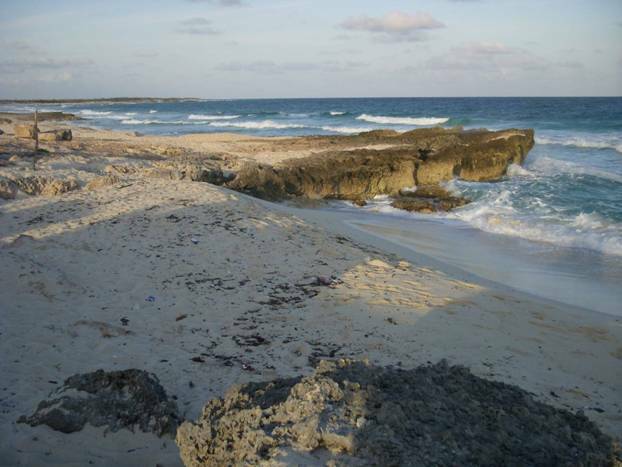 I had read that something like less than 5% of the people who visit Cozumel actually end up staying here for the night. A HUGE percentage of the folks who come here visit from the cruise ships that dock for the day...and most of the other people visit from Playa del Carmen for the day. That makes me wonder why they put in all these high end stores...are people really stopping here for the day to buy the exact same jewelry they could get almost anywhere at home? It seemed strange to me...my guess is people would rather purchase “I was in Cozumel and all I got was this lousy t-shirt” type of items (which were also abundant) rather than essentially just going “to the mall”. Plus, I would also assume a lot of the exact same stuff is available on the cruise ships. It makes me wonder how any of those stores make any money...but they are there and there are many of them, so the must profiting (we did see one great ploy...some jewelry shops offered free tequila if you went inside!). The real problem is, it robs the island of a lot of it’s authenticity. I think I’m learning though, that many people how come to this area aren’t looking for a trip to Mexico...they are looking for a trip to nice beaches, warm weather, and the chance to live it up for a week. It makes sense...that is what a vacation is I suppose. We are the odd ones out being backpackers here...in fact most backpackers skip this island because of the expense and the fact that it’s over commercialized. I guess we probably would have done the same if it weren’t for Karl coming here, but I’m glad we made the decision...it’s important to see all aspects of what a country offers if you have the time and the means. So we just walked around for a while and weren’t overly impressed. One thing that I found strange is that many of the stores here sell loose cans of beer, and you can walk around the streets here with a beer legally, yet I saw very few people taking advantage of this! I did my best to set an example though:) We searched out an internet place so we could let Karl know we were there and then went to find a nice cheap dinner. We explored the streets out of the main square and ended up finding an awesome pizza place that had a unique twist (perhaps this is common in Mexico...who knows). They made the pizza with cheese and the toppings, and then gave us the sauce on the side along with a garlic sauce that was delicious. You actually had to put the sauces on top of the pizza...but we both found it to be much better that way. We grabbed some beers and headed back to the hotel. We ended up having a couple beers and playing spades all night (the two girls in Isla Mujeres taught me how to play 2-man spades). It was a pretty good end to our leap year day...a day where everything seemed to go smoothly. Little did we know that the rest of our time on the island would be even better! Got up early...I have been waking up far earlier than normal it seems...but that’s okay, it gives me some time to work on journals, which is what I did until it was time to go meet Karl and Theresa...they’re boat was supposed to dock at 10:30. We went to the restaurant where we were supposed to meet them, Coffelia, and had a fantastic breakfast. We figured they would be there by 10:45 (we were very close to the dock) but at 11:30, they still had not shown up. I ran to check e-mail real quick and make sure everything was alright and got a message that they had just gotten off the boat about 15 minutes before. I figured they’d be there any second but at 12 they still hadn’t showed...hmmmm. I walked around down near the dock just on the outside chance they were a little lost and wandering around but didn’t see them. It had been an hour and a half...hmmmmm...maybe this is why cell phones are so popular...it really makes it tough to meet up without them! Finally around 12:30 they pulled up in a cab...alright! We were excited to see each other again!! It turned out there boat had docked at another spot on the island that I didn’t know about so they had a little trouble finding the place. Anyway, we decided to walk around for a bit and caught up...make no mistake, we did not hesitate to grab a beer while doing this. It was great to see another familiar face on the trip. Jodi and I were very curious to how the cruise ships worked so we had a ton of questions about that. Karl has traveled pretty extensively and like myself is not the cruise ship type...but he said they were having a great time on the boat. A friend of Theresa’s was getting married so they were in a group of 50 or 60 which always makes things more exciting. Theresa was a really awesome girl by the way...not that I was surprised by that at all. They were a little hungry so we grabbed some tomales from a tiny little place on the street. It’s weird...we’ve been in Mexico for 2 weeks now and this might be the first time I’ve seen tomales...perhaps they are more common in northern and western Mexico. I still remember the best ones I ever had...down in Brownsville where my friend Rene is from...his Mom made killer tomales! After a quick bite, we grabbed a six pack and went and sat out by the water. It’s tough when you only have a day to spend together and so much to say and talk about. You don’t even no where to begin really...but I was having an awesome time just hanging out. While we were out there, we ran into a couple people that they were on the cruise with. We invited one of the girls to go snorkeling with us and she said she couldn’t b/c she had a facial scheduled ON THE BOAT! Yes, the very same boat that they would be spending 36 hours straight on as they sailed back to Florida. It blows my mind...they had about 7 or 8 hours to explore Cozumel, where there really are plenty of things to do. You could get a facial ANYTIME on that boat...as a matter of fact, why not just do it on the island! Why not just stay home and look at pictures of Cozumel on the internet!? What a shame. We didn’t let the others crimp our style though...we walked down to the main dock and quickly booked a snorkel tour...it was US $30...more than we hoped to spend, but it was our only chance to see much on this part of the reef. The diving certification in Cozumel was $350. We figured it would be better to wait until we get to Belize where it will probably cost us a third less than that. The four of us boarded the boat and met the other two folks on board with us, Bob and Susan/California. It was actually a glass bottom boat, which turned out to be about 100 times cooler than I thought it would be. Since the water is so clear here, you can easily see down 20 or 30 feet and there is quite a bit to see. The snorkel tour did 3 different stops. The first stop was cool...we were in really deep water...probably 30 feet or so. I’ve only snorkeled a few times and it’s always been in 3-6 feet of water. I had never experienced being in such deep water and being able to see so far. It was cool...we could see many fish and even though most of them were far away, it was nice to have the new experience of snorkeling in deep water. At one point as we were swimming around, Jodi’s snorkel fell off when she was trying to clear her mask (I forgot to mention...we bought our own snorkels back in Cancun...we figure that we’ll be able to use them many times in the coming months and might save some money with our own). We figured that was it for that since the water was so deep and wouldn’t you know it, our guide easily swam all the way to the bottom to get it! We were blown away how deep and long the guy could dive! I have to give Karl props as well as he was easily the best swimmer out of our group...he also went to the bottom on this stop and later at the third stop he went down to about 40 feet! Anyway, Jodi was not the only one with snorkel problems...I broke the pin that held the strap of my mask on...I guess that us will teach us to buy cheap snorkels. I was pissed b/c we had spent $30 on those things. C’est la vie...maybe I can try to fix it tomorrow. I was able to borrow a mask from the guides and it was lucky because the second stop we did was FANTASTIC!! We saw many, many beautiful fish...some of them were the same I had seen in Porto de Gallinas in Brazil...which was the first time I ever snorkeled and still the best. It impressive to see the different array of colors in the tropical fish...the parrot fish is still one of my favorites. I wish we would have bought an underwater camera so we could share the fantastic images...alas, for now I’ll have to rely on my mental camera. We had plenty of time to swim around and check things out at that stop and the next. I was getting used to the deep water and the snorkel by the end and was able to dive down to about 20 feet...but it was brutal on the ears. I don’t know how the guide was doing it...continually going down to 30 or 40 feet. It definitely blew us away. After snorkeling, we were all pretty hungry so we went in search of a nice meal...even Bob and Susan came along. We had a nice dinner along with some sangria and chatted for a couple hours. Karl and I spent about a half hour recounting the Andrea story from the weekend of his birthday back in Brazil in ’03...possibly one of the craziest things I’ve ever personally witnessed (too long of a story to tell). We had a great time...hard to believe we only spent about 8 hours together b/c it felt like much longer. 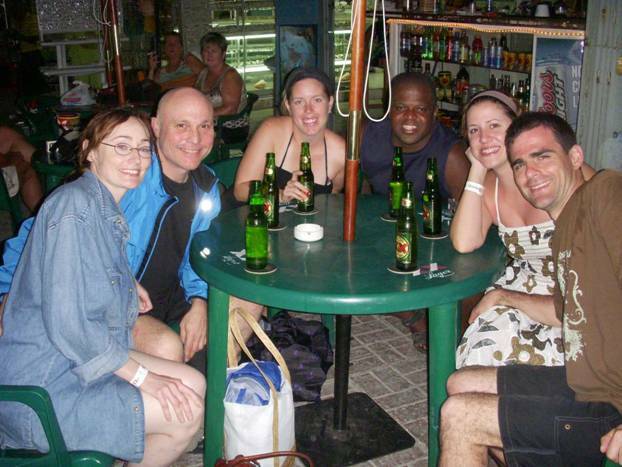 After dinner, we stopped for one last beer at a sidewalk bar before Theresa and Karl headed back to their cruise ship and Bob and Susan went back to Playa del Carmen, where they were staying. It was great to see Karl and I really enjoyed meeting Theresa as well. I’m so happy that we decided to come to Cozumel to meet up with them, even if only for the day. It was definitely worth it...it is always awesome to see good friends while traveling (we will happily welcome any others who want to visit us!). The funny thing is, Karl was living in Pennsylvania the last few years and I even went to a couple Penn State games and we were never able to meet up. We both had to come 1500 miles away to finally see each other again! That’s how it works with travelers...you never know when a familiar face will turn up. Take care my friend...who knows what country our paths will cross in next! Back in our room, we got cleaned up and went out in search of a little Cozumel night life. We ended up at this place called the Tiki Tonk Bar on the main strip that was jam packed. We managed to get a couple seats at the bar and ended up meeting the girl who was the singer in the band that was playing there that night. She was very nice...when her friends ordered beers though, I noticed that they paid less than we had for ours (I had also seen that with a couple other people). I asked the bartender what was up and he gave me this BS about locals being charged less than tourists. I cannot stand this type of crap when traveling...there are some situations where you know you’ll pay a bit more and it’s fine (buying food on the street, doing tours, etc.) but in a freaking bar or restaurant with a menu, the price is the price and that’s it. This is the part about the Yucatan that drives me absolutely crazy...everybody here who is selling something is just after your money and will do almost anything to separate you from it...some of the crazy price quotes I hear are mind boggling. This mentality is mostly restricted to very touristy places like Cozumel or Playa del Carmen b/c they have become too used to the many Americans that come here with plenty of money to spend and who can easily be taken advantage of. I don’t like that mentality though and that’s part of the reason that this country will never compare to places like northern Brazil, where locals are friendly just because that’s the way they are, and not because they want something from you (except for Taxi drivers). I guess that’s why I like sticking to places off the beaten path so you can avoid these types of things. You shouldn’t price gouge people just because you can! The world can do without that mentality and people will learn to love your country for it’s people and what it is. I’m sure no Mexican would be happy if I opened a bar in NYC and started charging all Mexicans an extra dollar for their beers just because they’re not American. Sounds absurd, right!? So why would it be okay to do the opposite!? What I’m saying is, just be honest...there is plenty of money to be made for a bar like that. We immediately left the bar...and we probably would have stayed there all night. I was so pissed I even pulled the manager to the side and let him have it...to make an extra $2, they probably lost $40! 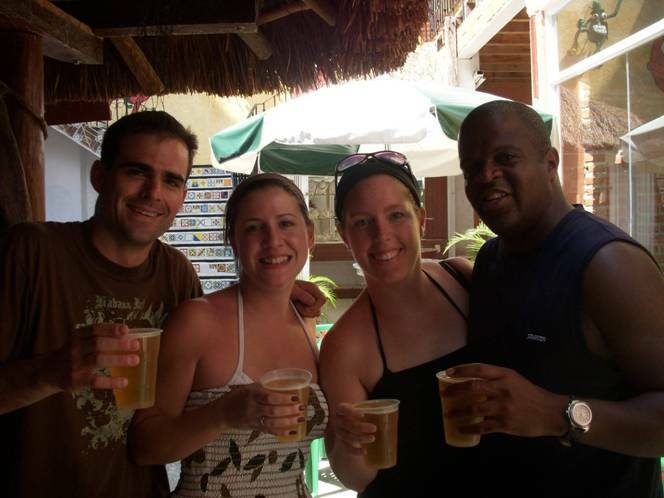 I hope that more people read this and DON’T GO to the TIki Tonk bar in Cozumel. Even if I turn a couple people away it will be worth it in my opinion. The whole thing ended up working out anyway, because we grabbed some beers and headed back to our room and had a great time playing cards, listening to music and talking until about 3:00. I didn’t want the bar to ruin what was such a fantastic day. The next day I got up early and read a few articles on the Mayans that I downloaded from the internet. They have such an interesting history and since we’ll be seeing a lot ruins, it’s something I want to learn more about. It turns out that there is something very interesting about the Codexes...which are the only 4 books that have been recovered from the entire Mayan civilization. They have used them to decipher the language and many of the Mayan customs, especially those related to math and astronomy. It’s amazing to think about...FOUR books. That’s it! Imagine if our culture had to be boiled down to just 4 random books! Anyway, we had decided we would rent a moped that day and get out and explore the island a little...saying that turned out to be a good idea would be an understatement. It was a small hassle finding a place and filling out all the paper work, but somewhere around 1:00 we were zooming down the road. We meandered through the downtown area at first and ended up stumbling on the local market area that we probably never would have found without some sort of transportation. The place was great and we found a cheap and delicious meal quite easily. Once you leave the main tourist area, you find that Cozumel is much like any other city in Mexico...we loved it. After lunch, we decided to take the highway around the island to other side. We brought our snorkels with us so we figured we could do some snorkeling along the way...as luck would have it there was a hardware store next to where we ate and I was able to fix my mask with a small metal pin the guy gave me. We sped out along the highway going to the south part of island. It was actually fun just being able to cruise on the moped for awhile. We immediately realized how little we had seen of the island. We made our first stop near a beach that didn’t seem to have a name...there were some signs up talking about how much damage the hurricane did a couple years ago and you could really tell...a lot of the old reef that had been destroyed was visible. They had decided to artificially try to reestablish the reef by placing a couple hundred giant “reef balls” out in the water. We snorkeled out to look at them and it was interesting...they were starting to grow coral nearby and there were actually a few fish. Unfortunately the current was too strong so we did not snorkel for to long...besides, we had only gone a few miles and we had the rest of the island to see. We got back on the highway headed south and it was still great just cruising along. We passed several hotels and resorts. We slowly began to realize why so many people come here. Most of what Cozumel is way outside the main downtown area. We ended up stopping at a beach near the southern tip called Playa Palancar! It was VERY beautiful! They had a bar there that had chairs that was right up against the water. We stopped to have a drink and do a little snorkeling around. It was a beautiful, quiet little spot and would have been a great little place to spend the entire day...I’d definitely recommend it to anyone who comes down here. It was probably the best little beach we had seen so far on the trip...BUT, the day was not over. After an hour we decided to move on, so we hopped back on the moped and sped around to the eastern part of Cozumel. The drive was overwhelming. I think I now understand why people like motorcycles and cruising on them with a girl holding on tight behind you. It was a pretty awesome feeling and we were on a freaking MOPED!! I never, EVER thought in my life that I would think they were cool, but we were having a total blast (note: later, when I saw the pictures I realized that it felt MUCH cooler than it actually looked). The drive was absolutely spectacular...the road follows the coast for miles and there is nothing but beach stretching in each direction for miles! 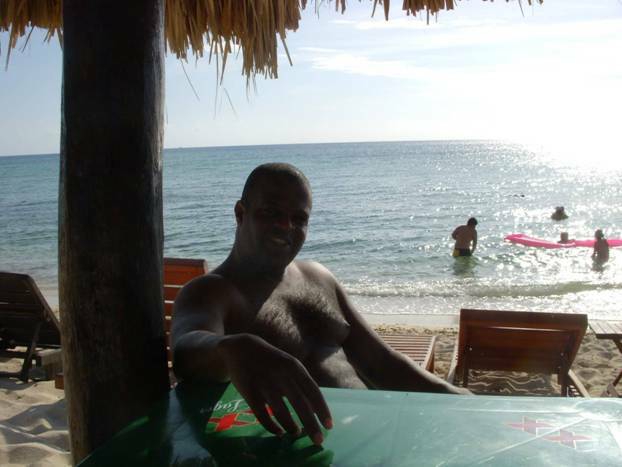 We continued on down the coast and found a nice little bar that was tucked into a place where the beach curved out. Ahhh...good old beer...always there to make a good situation even better. I had a quick one and Jodi had a margarita. We also took another quick video. We considered eating there but it was about to get dark soon and we were pretty far from town. We decided to head back and get cleaned up. Afterwards, we were right back out on the town again...we went down to the main plaza where there was a small festival that night. The band was playing and there were many families and tourists all around the main plaza watching, and dancing. We walked around and watched the dancers and watched kids playing...it was nice. After about an hour, we decided to go for one last spin for the evening. We went off into the night, heading south just outside of downtown. We sat out on the seawall for a little bit just looking up at the stars and taking in our beautiful surroundings. As we were headed back to town I spotted what looked like a carnival ride just peeking over the horizon...so we decided to check it out. It turned out to be a small local fair...awesome! We parked and walked around a little...it reminded me of the old 4H-fair back in Bloomington when I was growing up. It seemed like every kid under 15 in all of Cozumel must have been there. There were a lot rides and tons of those impossible to win games with over sized stuffed animals as prizes. There wasn’t one single tourist there of course as it was away from the main area...but I liked that. Nobody was yelling out prices to us, nobody tried to sell us anything. 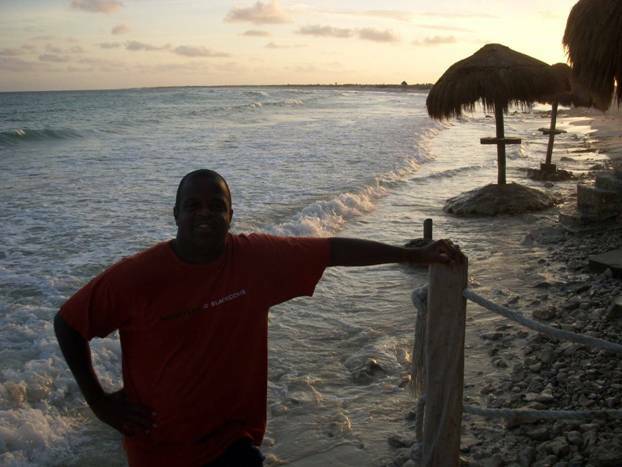 It was great to be there, and nice to see a part of Cozumel where nobody is trying hustle you and people are just living there lives and enjoying it. Anyway, we strolled around and even had some churros (tough to explain...but my guess is there is not a Mexican on this planet that doesn’t love them!). Of course, we didn’t leave without getting on one of the rides...we went on one called the Crazy Mouse (seemed appropriate considering my background) which was sort of like a roller coaster but not really. We still loved it though. Nothing like getting to act like a kid again for a half hour! Right on. We grabbed some Dulce de Leche ice cream on the way back (one of my favorite flavors!) which was great and then we swung by the plaza just as the band was finishing up and people were finally heading home. We just sat and watched some of the families for a few minutes and then decided to head back to the hotel. It was a great end to a perfect day. I think about that phrase a lot...”perfect day”. The truth is that every time I have one, it comes without my knowing it and it almost always involves doing something I’d never done. It’s weird b/c I think in the eyes of many, there wasn’t anything necessarily spectacular about it...and there are many others on this island that probably did the same things we did and saw the same things we saw. But part of seeing or doing these things is the journey one takes to get here, and I’m learning something new on this trip, and that is that another important part of seeing and doing all this is who is at your side. It’s interesting how both those things can fuel each other. Today was one of the first days of pure contentment that I’ve felt in quite some time and it was great to have Jodi to share it with. I can’t believe how awesome it is to be living this. A few days ago at lunch I asked Jodi, “What would you do today if you knew it was your last day on earth?” We had a great conversation and laughed about a ton of improbable scenarios. I thought a bit about that tonight...and you know what? If I would have known this would have been my last day on earth...I don’t think I would have changed a thing. If you can say that at the end of the day, you know you’re living life right.